So sad! So many lives ruined along with family, friends and those who care like those here and on blinkoncrime. 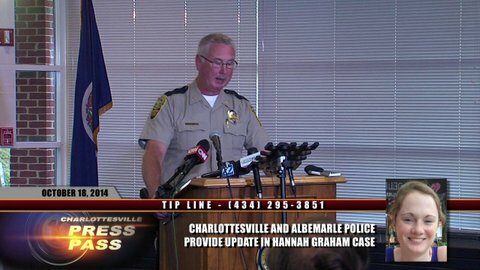 Too many missing girls around Charlottesville. Why???? There are too many nice people there, great scenery, for such bad vibs and happenings. Does this area have more drugs than expected around a university campus or that other drug (made from Sudafed) out in the farmland?? As I stated on blinkoncrime last night, I had relatives 1st from the Charlottesville , VA. area starting in 1734, the Woods and the Wallaces Woods Gap Jarman Gap et al Thorn Hill or maybe that is in another county. Then my gggg gf came from Scotland/Ireland to the Borden Grant and Rockbridge with 6 sons, born there and here, and later as officers in the American Revolutionary War. 2 died of disease, 2 killed in major battles 1 at Waxhaws (Builford's Defeat, hacked to death), and then other Guilford Courthouse. , 1 died 3 yrs. after the war of wounds. My ggg gf was the only one who lived a full life. I know in my heart that people from this area are very strong, so it must be very frustrating and scaring to have all this going on. I'd certainly get a permit to carry. ps think I need a new avatar for the season. Senior moment, where do I go for one?? Know this is Joran, but am pretending it is my action to all who hurt others. Oh how I was wishing she would have been found alive and well. I know he is considered innocent but they know he did this to her and it looks likely he did it to many other young girls also. My thoughts and prayers go out to her family and all the other families who have been affected by this monsters doing. Once killing is in your blood it never leaves you. If they do it once, they will for sure do it again. Just like Joran. They think they are invincible. Rest in Peace. Good Morning America is reporting that clothing was found with Hannah yesterday. I have been searching but can't find anything in print. Will post a link when I find one. I'm glad Officer Dale Terry found Hannah, but I'm just speechless he gave the interview and provided details at this point. Old Lynchburg Road still closed for #HannahGraham investigation. 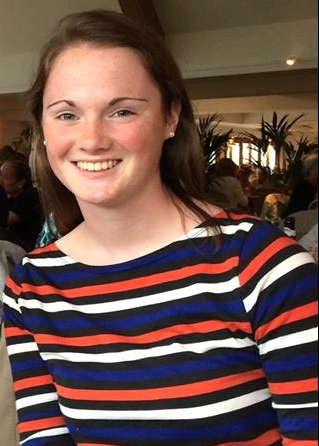 LBEMARLE COUNTY, Va. — The Chesterfield Sheriff’s Department sergeant who discovered human remains while searching for missing University of Virginia student Hannah Graham said he believed God wanted them to find what they found. Sgt. Dale Terry said his five-person team had finished their search mission near Walnut Creek Park around noon Saturday when something came over him to check nearby properties. It was behind a vacant home, in a dried-up creek bed, Terry said he found a skull and bones, along with a pair of tight, dark-colored pants. Terry said the vertebrae bone appeared long and consistent with a tall person’s body. He said the body was not buried and its location was not far from the road. He said his search team felt compelled to volunteer to find Hannah Graham in an effort to bring closure and justice for her family. Would there be only bones after a month? From yesterday. Video with Dan Harrington. Not trying to be insensitive, but it sounds like the work of vultures. I've seen a deer carcass picked clean in a few days. We were posting at the same time Klaas. 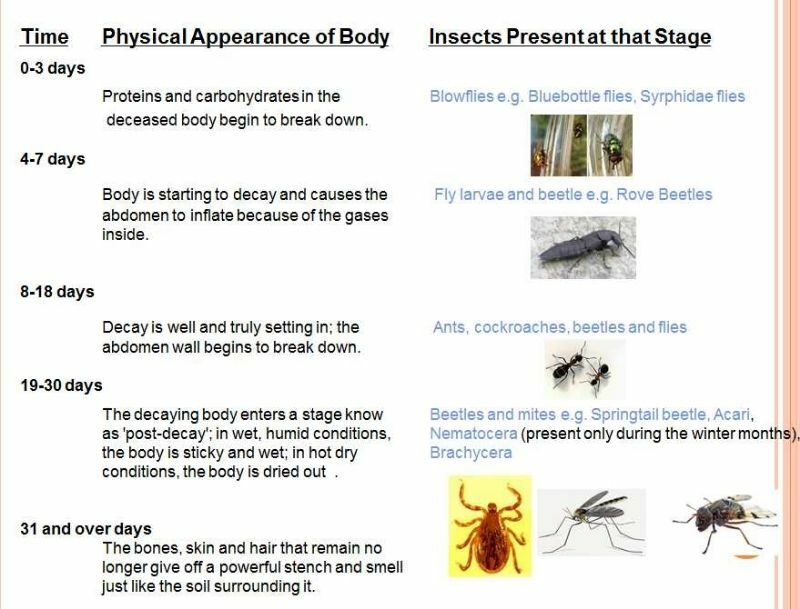 I think it's a combination of all of these things in nature. Great to see you IBE! It surely must be devastating to this community especially knowing this monster is one of their own. I hope if JLM had any help at all with his crimes or covering them up, that ALL is revealed and prosecuted to the full extent of the law. Searchers found what is believed to be the remains of Hannah graham at noon Saturday on an abandoned property off of old Lynchburg road in Albemarle County. 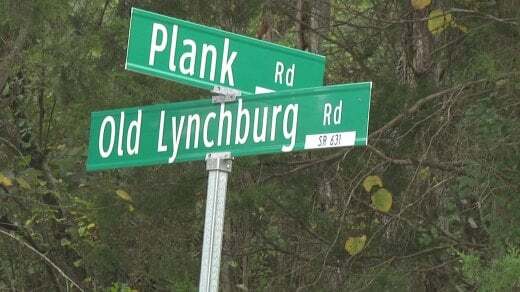 Road blocks are set up along Old Lynchburg Road between Red Hill Road and Plank Road. Dozens of Albemarle County police cruisers set those up at every entrance to the area Saturday afternoon. Police officers only let through law enforcement vehicles and residents who live in those neighborhoods. Officers checked drivers' IDs to make sure people passing through actually live in the blocked off areas. Lori Hamilton lives just doorsteps from where police say the remains were found. She tells NBC29 her family noticed something unusual in the area in the past few days. “My husband started smelling things two days ago and saw vultures. And yesterday he was like Lori it really smells bad outside, lets shut the windows,” said Hamilton. Thanks Muffy for providing a link. I knew I heard it, just couldn't find it. This deputy may have just jeopardized the evidence. He should know better! Page created in 11.17 seconds with 19 queries.